Dear Yoginis and Yogis, it has been my privilege to share and walk along with you on the path of yoga since 2002. It all started at the age of 14 from my parents. Dr. H. Nagaraj and Saroja embodiment of love and compassion. The seed of yoga sowed by my grandparents in the form of Mantra and Bhakti in the childhood. My early life was spent in the middle of woods and organic farms; yoga was the natural call for me as a lifestyle. I can’t expect much better than this life from the universe which is full of Joy, Surprises, learning, teaching, and fulfillment. I have been traveling to Kenya, Russia, France, Italy, Bali, Spain, Portugal, Japan and The Netherlands since 2007 to teach. 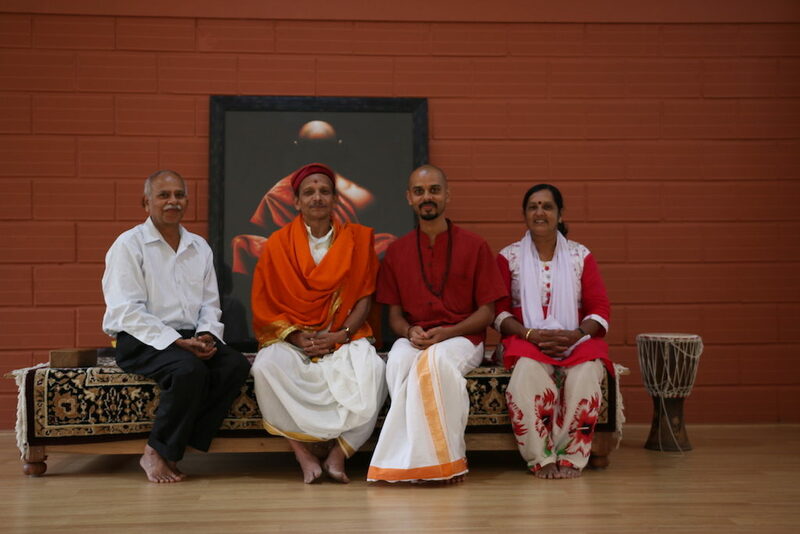 Having the roots and parampara in the ancient knowledge of self-discovery, Vedanta and Yoga from ‘Veda Vijnana Gurukulam under the guidance of my Guru ‘Shri Ramachandra Bhat’, started teaching ‘Sneha Yoga’ (Oil yoga) in 2018 to bring ultimate benefit to yoga aspirants combining Yoga and Ayurveda. After many years of researching, contemplating and applying the methods discovered Sneha /Oil yoga which is my lifetime project. Graduated with a Bachelor of Science in Yoga and post graduated Diploma in Yoga Therapy in 2005 to deepen my knowledge. Traveled to Shivanada Ashram, Shri Aurobindo Ashram, Mysore, Auroville to meet and learn from many masters. Being an instrument in the path it has been blessings of all yoga masters and best wishes of dearest students Oil Yoga has been discovered to lead a meaningful Individual, social and spiritual life. I will try my best to live the title which you have given me as “Yogi Trupta”. Hope to see you all with me on the mat in Samasthithi. To my students who made me a teacher. To the ancient and modern Gurus of Yoga. Ramakrishna Paramahamsa, Vivekananda, Aurobindo, Shivanada, Krishnamacharya, B.K.S Iyengar and Pattabhi Jois. My Parents for encouraging me to walk in the path of Yoga. Shree Raghavendra Shenoy for teaching me Iyengar Yoga. Svyasa Yoga University for the scientific knowledge of Yoga.